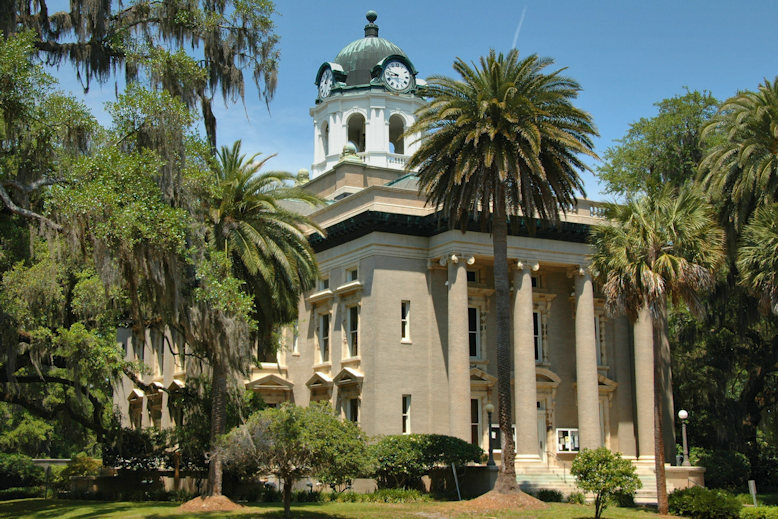 Set among a grove of live oaks, the old Glynn County Courthouse was designed by well-known architect Charles Alling Gifford (1860-1937). The location is Magnolia Square, one of the historic lots set aside for housing livestock as a community pasture. Though now replaced by a modern courthouse on an adjacent street, this landmark still serves government purposes. 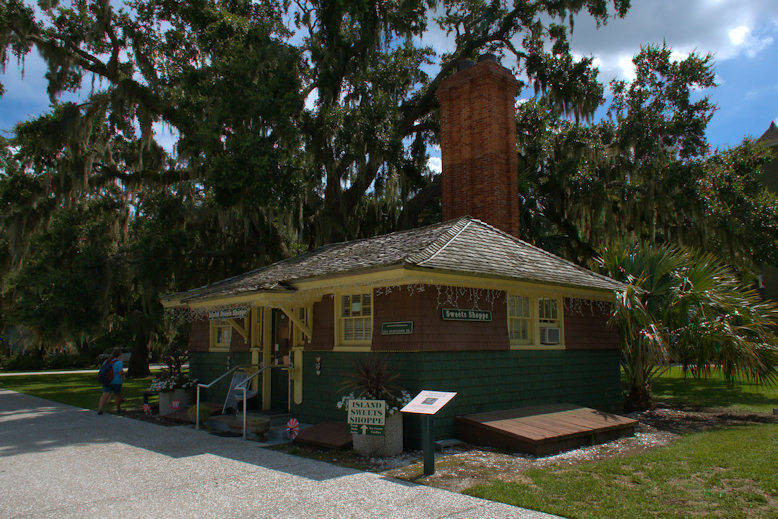 Originally used to supply heat to the adjacent Sans Souci Apartments, the old boiler house is now home to the Island Sweets Shoppe. Charles Alling Gifford built Mistletoe in the Dutch Colonial Revival style for Pittsburgh manufacturer and U. S. Congressman Henry Kirke Porter. Upon Porter’s death, John Claflin purchased Mistletoe. 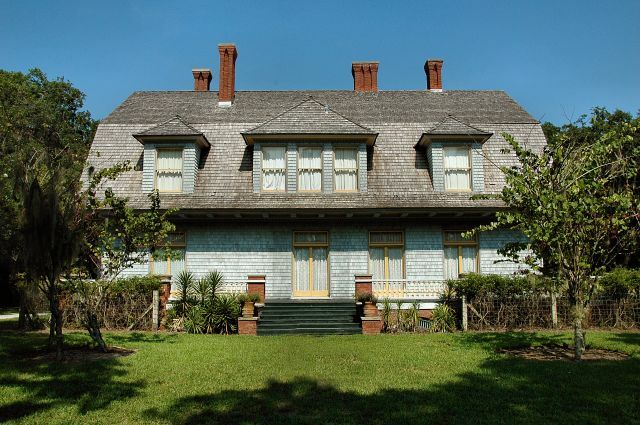 Claflin was an original member of the Jekyll Island Club. J. P. Morgan headed a coporation of six club members including James J. Hill, Pierre Lorilard, William Rockefeller, J. A. Scrymser, and Frederick G. Bourne that built Sans Souci and held joint ownership. Each of the three floors contained two apartments. 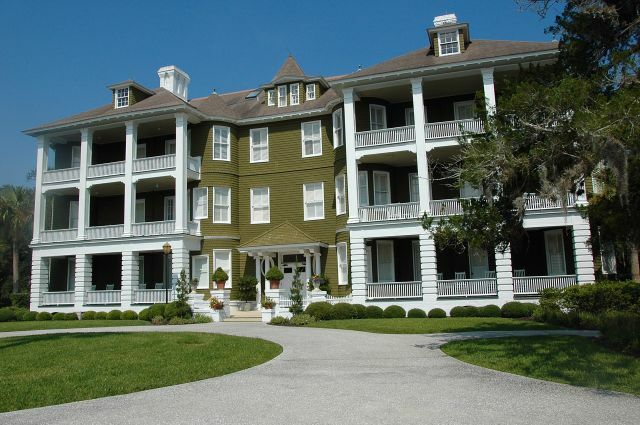 Sans Souci (meaning “no worries”) is considered to be one of the first condominiums ever built in the United States.